Count the number of stairs to the top of Inverness Castle Viewpoint. When you reach the top take a Selfie, capturing your favourite view and on your way out, collect your free 7 Day Pass for use at any HLH Leisure Facility. Post your Selfie along with the number of steps to the Inverness Castle Viewpoint Facebook page or @invernesscastle on twitter – You can use our Facebook Frame for extra style! 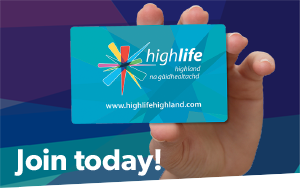 Submit your Selfie by 13th February 2018 to be in with a chance of winning a Family Membership with High Life Highland, worth £360. Full terms and conditions. Winter Opening Hours – Friday to Monday – 11:30 to 16:00. There is no need to book and access is on a first come, first served basis.